There are a few things you need, you will need a Domain Name $10 per year, web hosting which is about $5 per month and ideas for your website content. That’s all you need to get started. Most web hosts have a one click install process which makes it really easy to install WordPress. Here’s what you have to do. If you’re looking to take a more hands on approach, manually installing WordPress isn’t hard at all and I actually highly recommend that people learn how to manage their website in this more advanced way. Log into your WordPress dashboard and find the settings link in the left sidebar towards the bottom. In the general settings page, fill in the info in the various fields then save your changes. In the settings area locate the Permalinks and choose one, I use post name. Find the users link in the left sidebar then click your profile and fill it out with all your information. In the settings -> writing section, you can choose a default category. In the settings -> reading section you can configure your FrontPage options. In the settings -> discussing section, choose your settings for how comments will be handled. In the settings -> media section, choose your thumbnail dimensions. The you should create your main pages for your website, the about page, contact page, services page etc. In the appearance -> menu section, create your navigation menu, this should be done after you’ve created your main pages. In the appearance -> widgets area, you can configure the available widgets. In the appearance -> customize section, you can customize the layout of your website. Write your first blog post by clicking the Post link in the admin sidebar and add new. But keep reading before doing that. There are thousands of free and premium WordPress Themes to choose from. Free themes are great start with and might be all that you need. 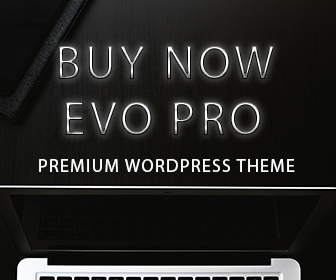 Premium WordPress Themes (like Evo Pro) often come with more features and support. With so many options out there, it can be difficult to decide which theme is right for you. Ultimately there are a few things you will most likely want in a theme. Those are just a few things you will want to consider when searching for the theme that will handle the front-end look and feel of your website. Installing a theme is extremely easy. See, that was easy. WordPress has made it extremely simple to manage your website. Plugins are like APPS, they extend the functionality of WordPress, from SEO, social media, security, backups, forms and more. There are over 40,000 free plugins on the official WordPress Website. You can also buy premium plugins that provide robust functionality. In the admin dashboard of your website, click on the plugins link then click add new. Search for the plugin you want to install or upload a plugin from your computer. Once the plugin is installed and activated, configure it based on the documentation from the developer. For Pages, in the top toolbar -> hover over new -> then click page. Or, in the left admin sidebar of your dashboard, hover over page and click add new. Give your page a click worthy title. Make the title something a person would probably use as a search phrase in Google. Add your content and images. Make sure to add a featured image. Fill out the SEO section from your SEO plugin. When you’re ready, publish the page and view the page in the browser. For Posts, in the top toolbar, hover over the new link and click post. Or in the left admin sidebar, hover over POST and click add new. Give your post a click worthy title. Add your content, shoot for about 1500 words and add your images. Fill out the SEO info from your SEO plugin and don’t forget to add a featured image. Add the category and tags you’ll be using. When ready, publish your post and view the post in the browser. Standard practice is to set the default user role to the subscriber role. Your website might never get any comments and that’s ok. Or your website might get flooded with spam comments. Or maybe you have a website that people really engage with. Either way you can manage comments in the dashboard. There are two locations a focus on. In the admin sidebar -> comments section, this is where you can view all comments. In the admin sidebar -> settings -> discussion, this is where you set the rules on how comments will be handled. You can also install a spam blocking plugin to deal with spam. The headlines might scare you, “Millions of WordPress websites hacked“! It’s true, WordPress websites do get hacked but so did millions of websites not powered by WordPress. Even government websites get hacked. So how do you secure and protect your WordPress website? It’s actually really easy to secure your website. As long as you follow the tips above, your website will be secure from the vast majority of attacks. It’s important that you backup your website often. You never know if a server failure or some other issue might require you to restore from backup. Or maybe you just want to migrate to a new server. Either way, you need to backup your database which is for your post, pages and settings. Then backup your files and folders which are your themes, plugins and images. Your backup schedule should be based on your blogging and update schedule. I advise backing up your database every other day and files weekly. Consider using a plugin like Updraft Plus to automated the process. You can also manually backup your WordPress database by using PHPMyAdmin. Log into your hosting account, go to your control panel then look for your database -> MySQL section and then click PHPmyadmin. 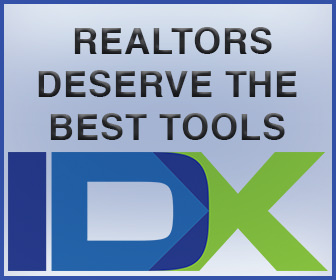 Select your database then click the export link in the top navbar. Select all tables and then choose either the zip or SQL format. Scroll to the bottom of the page and click go. While I’m happy you’ve decided to read this article and hopefully subscribe to PixemWeb, there are some other websites you should definitely read and follow. Get your free images from Pexels.com and gratisography.com. WordPress is really easy to work with. Follow the steps above or watch the video, and you will become a pro blogger in no time. 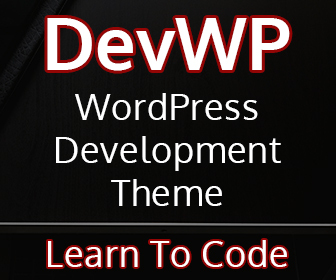 If you need help with WordPress I offer Premium WordPress Setups. Evo Pro is my custom WordPress theme and I also work with the Genesis framework and the Equity Framework for real estate. Contact us so we can get started on your website. I hope you enjoyed this article. Subscribe and share your thoughts.